This hunting fanny pack has variable capacity, multiple pockets and great organizational features. With its removable side pouches, it really is two fanny packs in one. The quiet fleece material, silent zipper pulls and wide waist belt make it stealthy and comfortable to carry. Large main fanny pack with zippered main compartment. Flat, zippered pocket on the main fanny pack. Adjustable shock cord for bulky items on the main pocket. Two removable zippered side pockets. The side pockets may be used separately as belt pouches. Each side pocket has a flat zippered pocket, one of which is divided into two compartments. 2” wide, fully adjustable, quick release waist belt. Silent zipper pulls. End pulls on all main zippers. Water resistant and quiet polyester fleece. Double stitched seams. Heavy duty #8 and #5 YKK Zippers. High-strength Duraflex and Fastex hardware. Reinforced stress points. Nylon webbing. 1/8” nylon covered shock cord. Made in the USA of American materials. 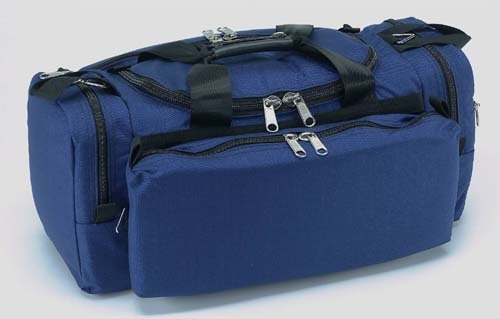 Main Pocket: Height - 6"; Depth - 4"; Width - 12"
Side Pockets: Height - 6"; Depth - 3"; Width -8"